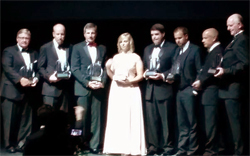 In October 2018, Italgrani was one of six companies awarded the 2018 St. Louis Businesses of the Year award. 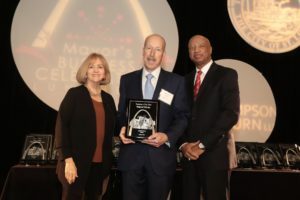 Mayor Lyda Krewson presented the award at The City of St. Louis Business Celebration Luncheon. 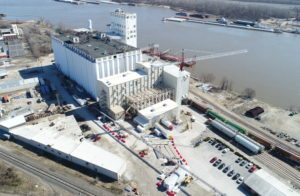 St. Louis, MO (March 24, 2017) Italgrani USA announced today the successful completion of certification of the Food Safety Management System of its durum flour mill to the FSSC 22000 scheme standards. This certification has recently gained full approval by the Global Food Safety Initiative (GFSI) following an extensive benchmarking process using international standards based on industry best practices and sound science. St. Louis, MO (June 2016) Jim Meyer was honored in June as a Regional Finalist in the 2016 EY Entrepreneur of the Year Award. This group of leading entrepreneurs was selected by an independent judging panel made up of previous award winners, leading CEOs, private capital investors and other regional business leaders. Minneapolis, MN (May 2016) Italgrani USA is pleased to announce that it has added Tyson Giles as a Vice President at Mayco Export, Inc (a wholly owned subsidiary of Italgrani USA).